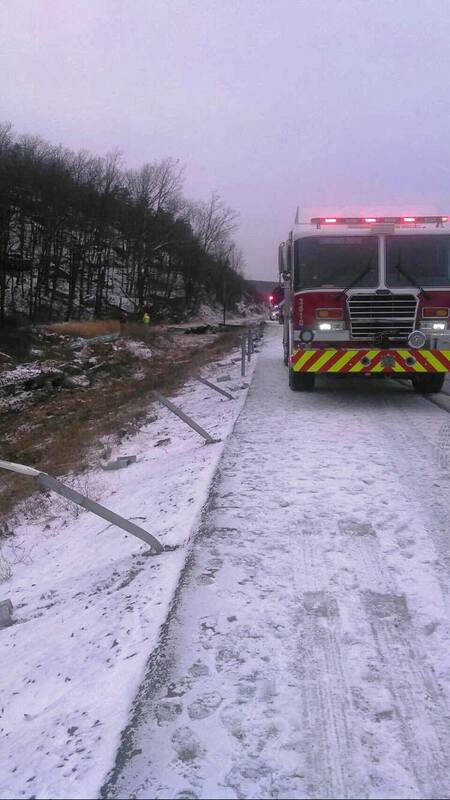 Emergency personnel were dispatched this morning to Interstate 81 southbound for a reported motor vehicle crash with entrapment. They arrived to see a tractor and trailer down an embankment. 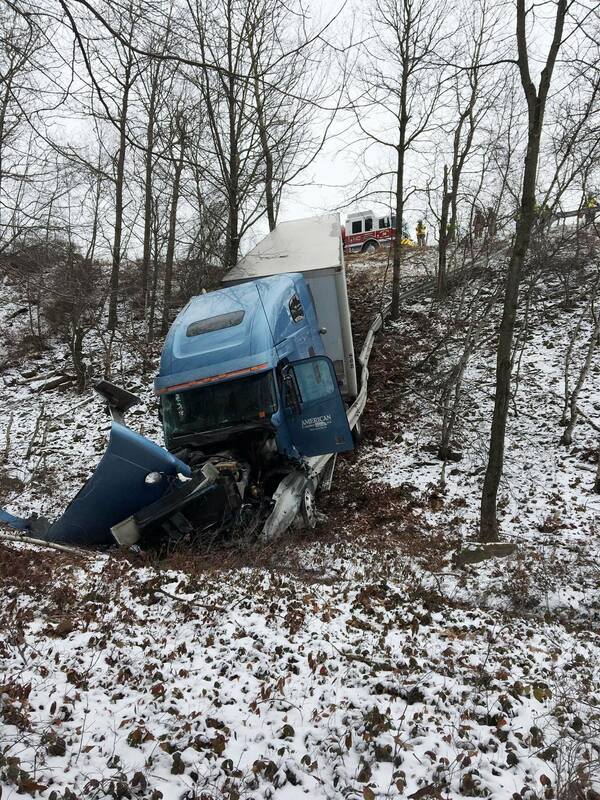 Initial reports were that a tractor-trailer drove over a vehicle prior to the crash. 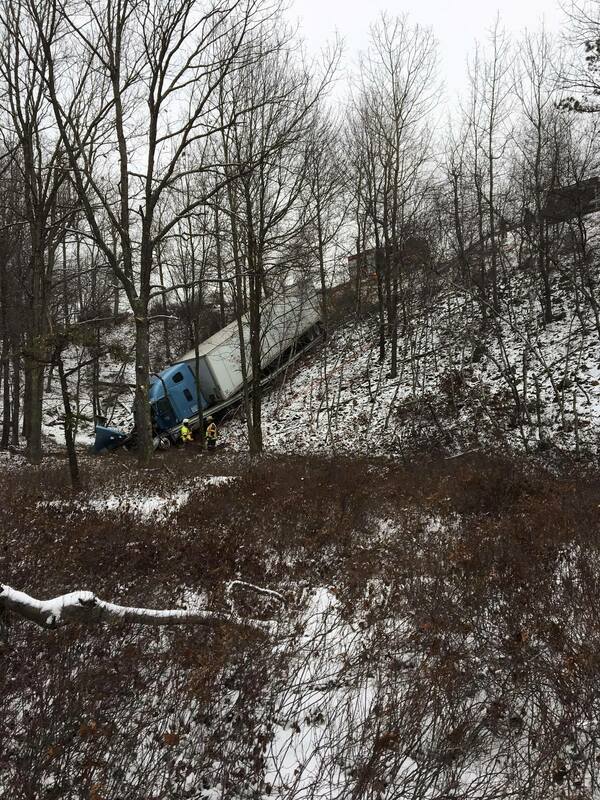 “26-10 was dispatched as automatic aid to Delano Twp at the 135 southbound of I81 for a reported MVC with entrapment. 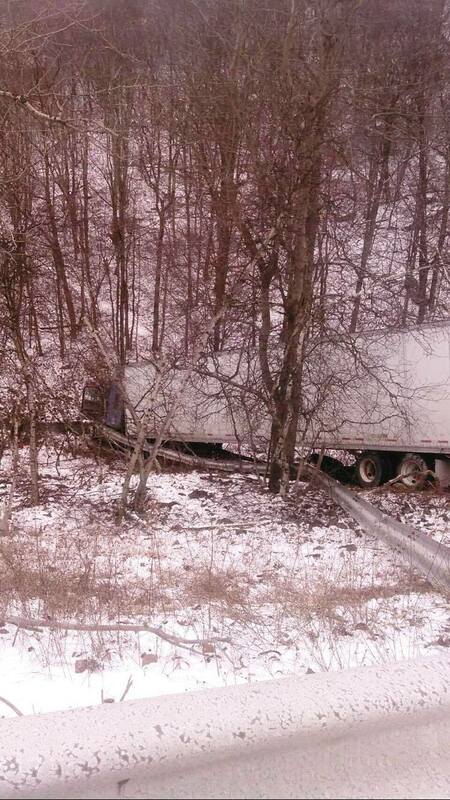 Initial reports were a tractor trailer ran over a passenger vehicle and then traveled down an embankment. 49-15 arrived followed by A977, 6-60, and 26-10. 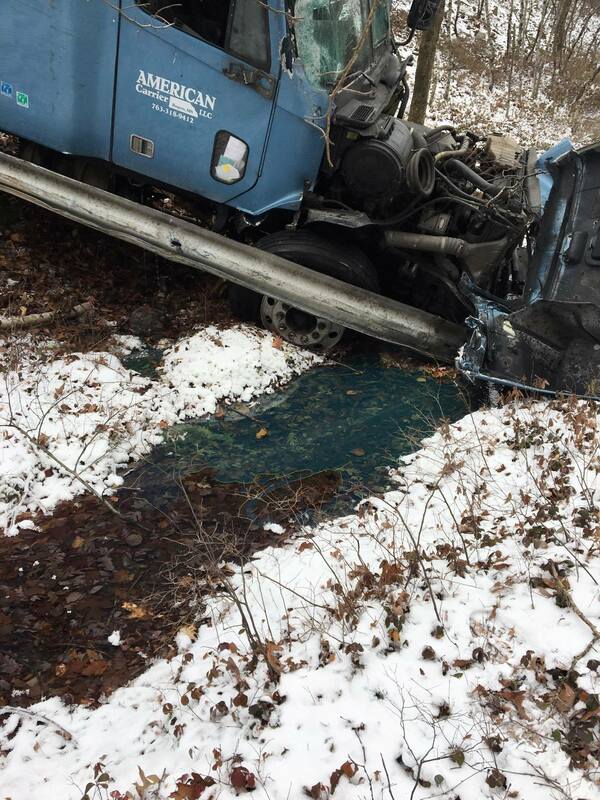 Due to multiple fluid leaks, 26 crew plugged an antifreeze leak and placed booms for fluid control. 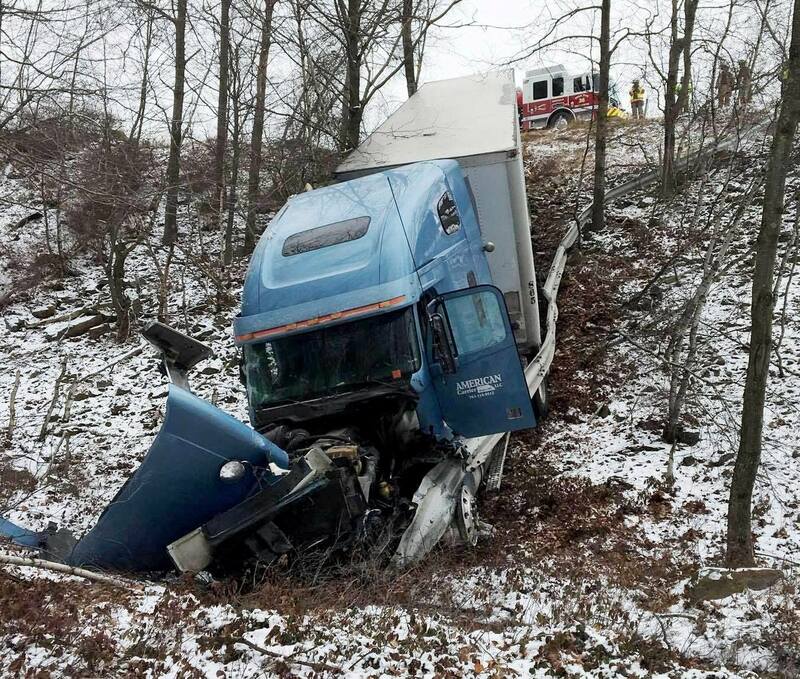 Tractor trailer driver transported via 977, passenger vehicle occupants did not require transport. Company responded with 6 volunteers. Click HERE for WNEP TV story.